Henry Holcomb is a senior at South and is the Features Editor for the Southerner. In his third year on the Southerner, Holcomb is excited to be involved in a new section. 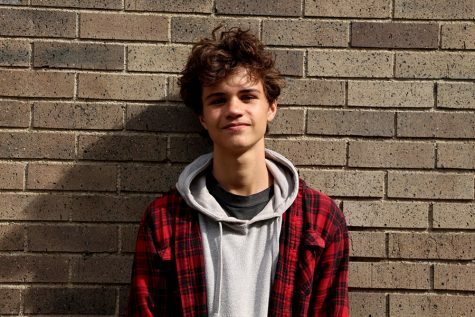 He is a Cross Country runner for South and is also involved in the youth environmental advocacy group, Kids for the Boundary Waters; which aims to protect the unique wilderness. Holcomb is the Team Lead of a youth volunteer and leadership group, YMCA Leaders’ Club. He likes to spend time his free time outdoors. Through his leadership, Holcomb tries to be decisive yet step back when appropriate. In Cross Country, Holcomb wants to become a stronger runner and is working on running in college. He’s very hard working, athletic, and likes to advocate for things he believes in. He’s planning on pursuing a Environmental Studies major in college. Holcomb is reserved, smart, and talented. He feels comfortable outdoors in the natural world. As the Features Editor, Holcomb is excited to work with the wide array of articles that will come his way. He hopes to grow as both a writer and as a editor in his final year. Holcomb looks forward to explore investigative stories to get the inside scoop about South and its larger community.